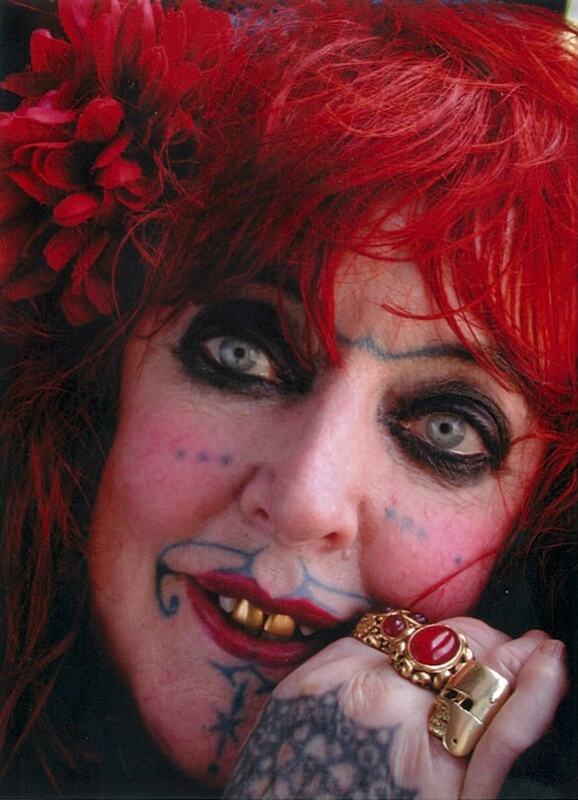 Vali Myers was a unique spirit born out of time. 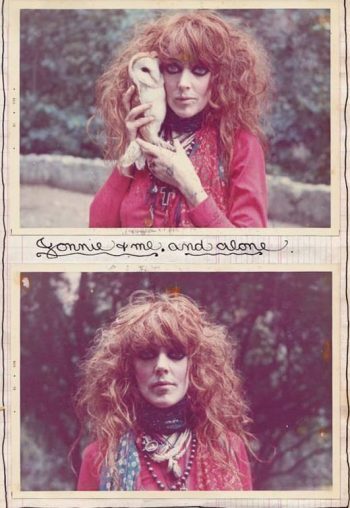 She lived her extraordinary life like a bright flame, cutting her own unique path and living on her own terms: a tightrope walker – one foot in this world and one in a dream world that we can only glimpse in her profound artwork. Artist, dancer, muse and powerful creatrix, Vali left a body of work that started with her early drawings in the cafes of Paris in 1950 and spanned until her death in 2003. The artwork and diaries that she leaves behind are made of pure fire: energetic food for artists, writers, creators and lovers of the natural world. Vali put every ounce of her spirit into living and through her legacy we hope it inspires the same flame of life to live on in you. As an artist, her work rests with adoring fans and museums around the world, as a muse she inspired many people ranging from photographer Ed van der Elsken, who made her the central character in his classic book and film ‘Love On The Left Bank’ to Tennessee Williams who based the character Carol on her in his play ‘Orpheus Descending’. Vali had an enormous impact on all who encountered her whether it was through her art, or through one of the four films made about her. She inspired other artists such as renowned photographers Diane Arbus and Francesco Scavullo, who both photographed her, artists Albert Tucker and Stanislava Pinchuk, and musicians Deborah Harry, Marianne Faithfull, Patti Smith, Florence Welch, and Devendra Banhart. George Plimpton, editor of ‘The Paris Review’, was an early fan and responsible for one of the first articles in the later ’50s which looked at her work. What they all responded to was her wild spirit, which manifested itself in her paintings, in dancing, in her life. She was fearless, intoxicating and like no other. From early on, Vali was different from other children. Unable to relate to people, she spent her days alone in the bush and when she was made to attend school, she would sit for hours at the back of the room drawing from her imagination. Vali’s father was stationed in Melbourne in 1941, and the family moved to Box Hill. Vali withdrew even further into her two passions – drawing and dancing. At fourteen, fed up with school and home, Vali left both behind. She rented her own boarding room in St. Kilda, and worked in factories and as an artist’s model to pay for her dancing. Post-war Melbourne was extremely conservative and women were expected to settle down and start a family as a matter of course. Vali felt smothered in such a repressive atmosphere and, at 19 years of age and with little more than her fare, Vali boarded a ship for Europe. After a gruelling four-week voyage by way of Bombay, Vali ended her journey in the French port of Marseilles. Vali’s dream was to dance for a living in Paris, but the bleak poverty of Paris in 1949 was a bitter shock to her. The city was completely ravaged by war, money was scarce and jobs were almost impossible to find. Refusing to turn tail and plead for money to return home, Vali began a life on the streets with the rest of Europe’s displaced people. Jewish and Gypsy refugees fleeing camps, writers, artists and petty thieves – they all formed a vagabond family that made the Paris cafés their home. Vali lived on the streets of the Latin Quarter of Saint Germain des Pres on the Left Bank for three years, surviving on bread and milk and carrying a knife for protection. Vali became notorious in the Quarter for her phantom-like face and almost supernatural ability to dance. Vali drew crowds of spectators dancing for hours to African musicians in cafés and nightclubs. Photographer Ed van der Elsken, made Vali the main subject of a series of photographs documenting bohemian life in postwar Paris published in the book ‘Love on the Left Bank’ in 1956. A chronicle of the early ‘50s in Paris, the book also features the artwork Vali carried with her constantly during this time. Elsken made Vali the subject of another project in 1971 – a film entitled ‘Death In Port Jackson Hotel’ – named after a drawing Vali had created from 1968 to 1969. Vali was expelled from Paris in 1952 after years of constant harassment over vagabondage and association with the crazy Pierre Feuillette, who was also photographed by Ed van der Elsken and featured in ‘Love on the Left Bank’. After stints in prison for vagrancy, Vali left Paris and began her ‘walkabout’ of France, Italy, Britain, Brussels and finally Austria. It was in the winter of 1952 in Vienna that Vali met a young architect, Rudi Rappold, who shared Vali’s urge to keep moving. For three years they travelled from country to country hounded by police and authorities. Finally, in an effort to keep Vali legally in Europe, they married and returned to Paris. Paris was now awash with a new wave of post-war Anglo Bohemians. The dollar’s exchange rate turned North American artists and writers into neo-aristocrats and Vali mixed with most of the ‘hipster’ set including writers Jean Paul Sartre, Tennessee Williams and Jean Genet. It was also during this period that Vali became addicted to opium and would smoke with Jean Cocteau late at night. Vali’s artwork was first recognised by George Plimpton, writer and founder of The Paris Review. He had known Vali for years and like many others, was seduced by her sensual dancing and haunting face. Plimpton published a portfolio of her drawings in the Paris Review #18 in the spring of 1958 and wrote an accompanying preface. The writer went on to purchase almost all of Vali’s early work and the two shared a friendship for many years. In an effort to escape an addiction that was slowly killing her, Vali left Paris for the last time. After months of wandering, Vali and Rudi literally stumbled into the wild green valley of ‘Il Porto’ in Positano, Southern Italy. Protected by 1,000-foot cliffs, the almost impenetrable valley opened to the sea and became Vali’s main residence and greatest inspiration. 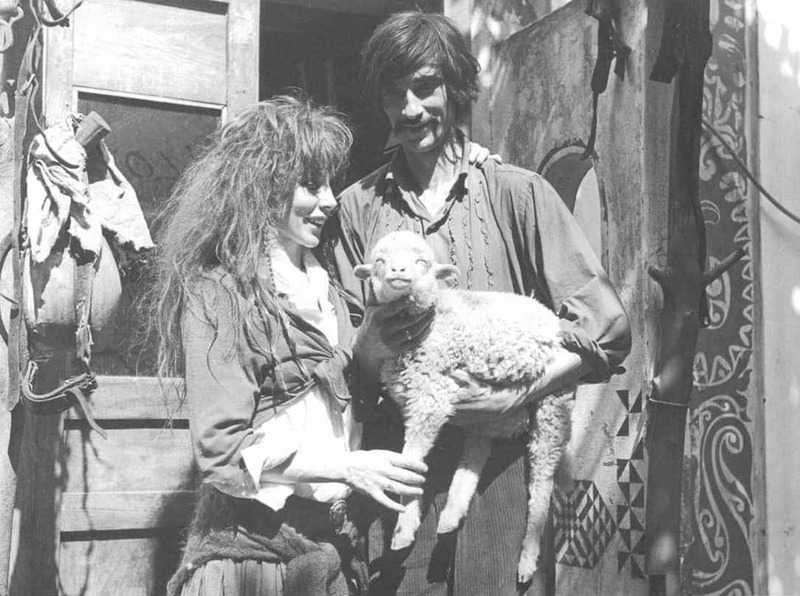 In the early summer of 1971, Italian artist Gianni Menichetti began living with Vali and together they took care of the large animal family that developed in the valley. Ironically, these same animals had filled Vali’s dreams and work for years – the owl, raven, and the fox. Over the years more animals came to the retreat until Vali had built up a menagerie numbering over one hundred. After years of battling with local police and government bureaucracy, Vali finally obtained permission to turn the valley into a wildlife sanctuary under the protection of the World Wildlife Fund and dedicated all of her money, time and energy into it’s preservation. Donkey, pigs, dogs, cats, goats – all of the animals were Vali’s children but the most precious was her favourite daughter, Foxy. As a young vixen Foxy was found starving after her mother had been shot. Vali cared for the young fox and in doing so created an amazing bond with this wild, beautiful creature and Foxy’s name was tattooed on Vali’s hands in loving memory of their 14 years together. British singer, Donovan, intrigued by Vali’s artwork also made the trek to Positano. He was so captivated by its creator that he flew her to London to dance on stage at the Royal Albert Hall to his song, ‘Season of the Witch’. Perhaps the deepest impression was made on the American playwright Tennessee Williams who Vali refers to as “the saddest, most sentimental man I have ever known”. After spending time with Vali, Williams was so taken with her originality and lust for life that he based the free-spirited character Carol, in his play ‘Orpheus Descending’, directly on her. Il Porto became a Wildlife Oasis in 1988. Gianni Menichetti lives there as the valley’s ‘ambassador’ dealing with government officials and still tending to the menagerie of animals. Vali left the valley for the last time in June 2002. In 1970, Vali travelled to New York to start concentrating on selling her work for the first time. Flat broke, she was, nevertheless, reluctant to sell her work for anything less than it was worth. Painstakingly produced by gaslight, each drawing took anything from six months to two years to complete. Vali’s first supporter in New York was Abbie Hoffman who introduced her to the Chelsea Hotel and its inhabitants. Andy Warhol suggested Vali print reproductions of her work to sell to enthusiasts. 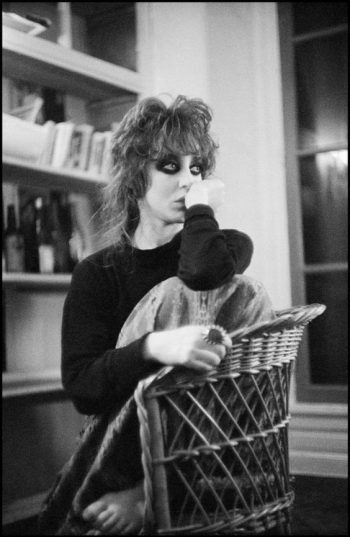 It was also at the Chelsea that Vali met a young Patti Smith. Vali’s war-paint had taken on permanence with intricate facial tattoos and Patti asked Vali to tattoo her knee with a tiny little lightning bolt in “tribute to Crazy Horse”. Salvador Dali praised the quality of Vali’s drawings and urged her to start exhibiting formally. He recommended that Vali show her work in Holland and in 1972 Vali held the first of many exhibitions there. George Plimpton published a second study of Vali’s drawings in #64 of ‘The Paris Review’ in 1975 and in 1980 he wrote the introduction to her now much sought-after, self-titled book. The book combines Vali’s work from 1949-1979, personal photographs and especially written captions for each drawing in her fabulous calligraphy. 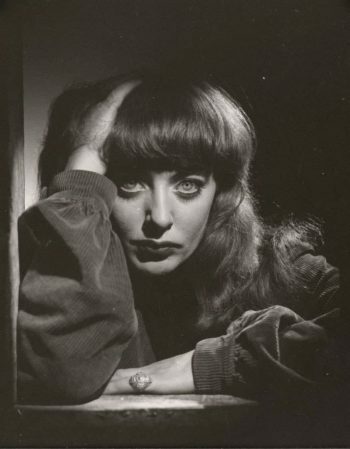 In 1989, Australian filmmaker, Ruth Cullen, released her beautiful film on Vali Myers, ‘The Tightrope Dancer’. The film perfectly captures Vali’s double life of an almost hermitic, rural existence in Il Porto and her mad, lightning “Viking trips” to New York to sell her work. In the film, Vali talks of her plans to return to Australia and in 1993, she finally made the trip – after an absence of 43 years. Vali fell in love with Melbourne and its people and held her first Australian exhibition at the Emerald Hill Gallery. 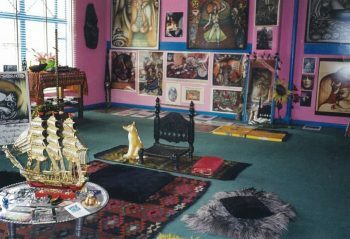 In 1995 Vali returned to Australia to set up her beloved studio gallery in the Nicholas Building overlooking Swanston Street in Melbourne and began to show her work regularly. The last years of Vali’s life were spent flying between her ‘burrow’ in Positano and her studio in Melbourne. Vali had known many famous people in her life but her real feeling was for ordinary people from all walks of life – especially anyone who’d done it tough or alone and pulled through. Vali was diagnosed with stomach cancer in late 2002 and passed away in early 2003.